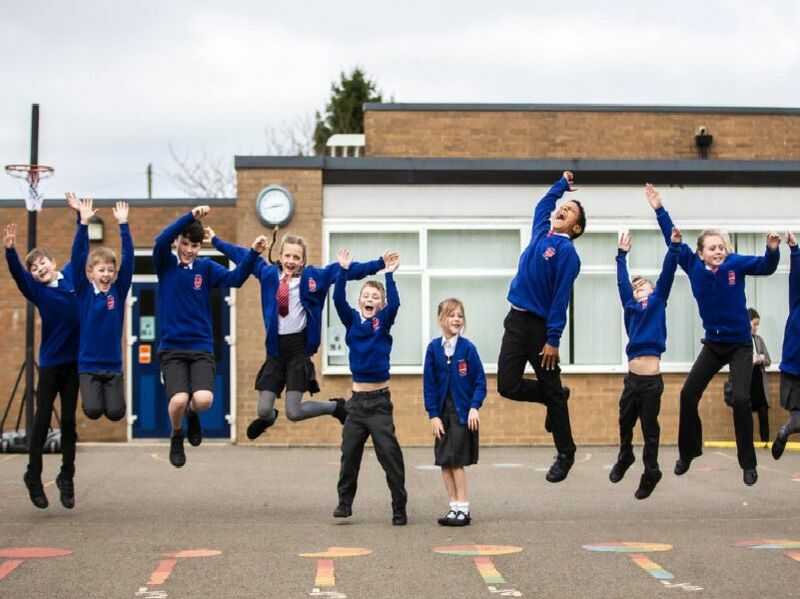 The pupils and staff at Cogenhoe Primary School have been inspired by International Day of Happiness (today) but they have extended their efforts to make one another more cheerful throughout the entire week. Sheena Tanna-Shah, of Inspiring Success, who qualified as a neurolinguistics practitioner eight years ago, has been leading the happy activities this week along with Personal, Social and Health Education (PSHE) lead Rebecca Reeve. Sheena said: "With one-in-10 children having a diagnosed mental health issue I'm very passionate about prevention before cure. Everyone has different things they feel happy about but everyone should have something to feel happy about. Happiness is a state not a trait so it's about finding out what brings us joy and why." The children have this week been writing letters to one another who make them feel happy, delivering and receiving random acts of kindness and writing in their own gratitude journal. Teachers have been swapping classes for one hour this week, delivering a happy session - one was creative origami - and practising mindfulness and meditation. The theme this year is 'Happier Together'. Sheena added: "Being happy is infectious, the more you feel it the more you spread it. I've been delivering little gifts to every year group in the school and also the office and support team today simply to show even as a parent we appreciate all they do." School council representatives listed and spoke about the things and their feelings, which make them happy. Pets, friends, family, holiday, food and sports made the shortlist. The school is focusing on this form of enrichment to prepare the children for life after school. Sheena started volunteering for the school last year, with Year 6 students ahead of their SATs and transition to secondary school. This week she is working with all ages to spread cheer and calm. Representatives from Cogenhoe Primary School council were chosen today to represent the school for International Day of Happiness for the newspaper.